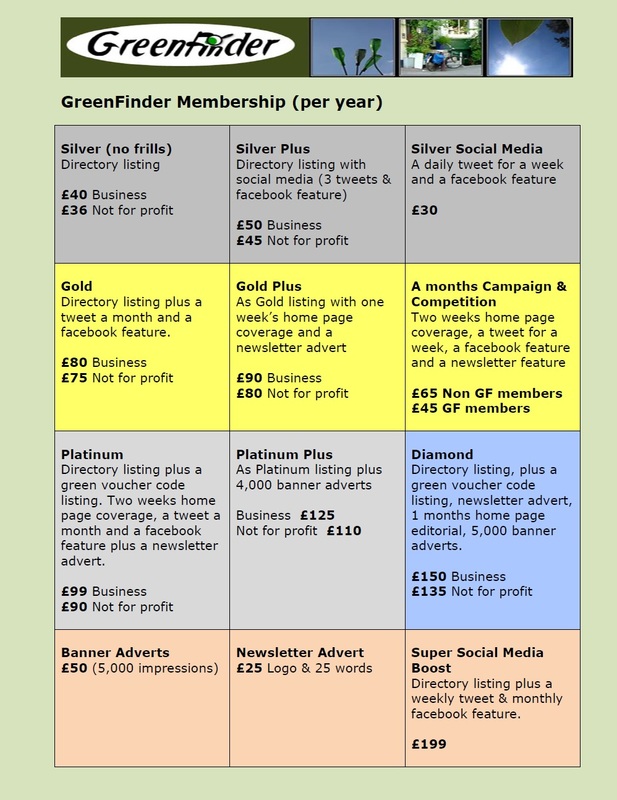 GreenFinder is a green pages style website which promotes eco, fair trade, natural and sustainable related businesses and companies online, via social media, through our newsletter and at green events. We also attend green events and GreenFinder members can take advantage of our pay as you go event promotion service whereby we can take your leaflets and products to display on our showcase stand. We are more than your average online directory…. Social media: We promote our members through our network of over 5,500 social media followers. Unlike most directories we rotate our listings every 2 weeks so companies get an equal chance of being top of their category. Please see our rate pack below for more details of the various packages we offer. A basic directory listing starts at £40, a second listing in a different category is half price or we offer three listings for the price of 2.